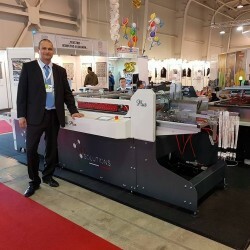 Mini Athos - machine designed to apply double-sided tape with semi-automatic feeder, introduction format 500x5000 mm, especially for digital market. 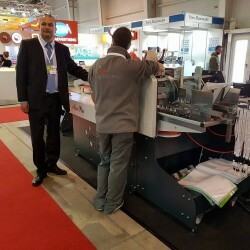 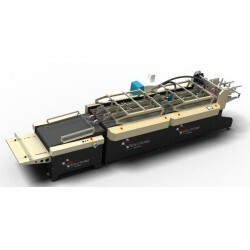 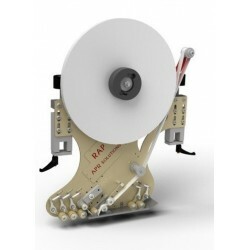 RAP STRIP is a tear tape applicator adaptable to any type of machine, such as folder-gluers, laminators The RAP applicator has been designed to apply double-sided tape, acrylic, foam, PVC and transfer tape in automatic way. 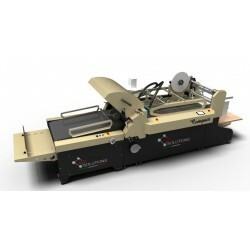 It can be added on any kind of automatic or semi-automatic machine.